after obtaining permit from the Maharaja of Cochin is also renowned as Dutch palace of Kerala. 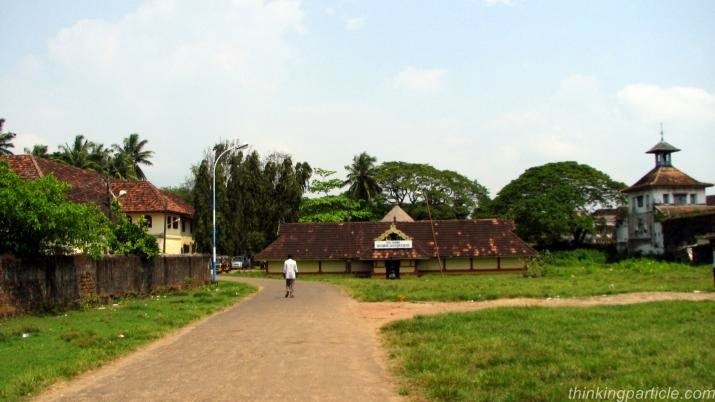 Perched perfectly within the Jew Town of Kochi the palace is a significant page of Kerala history because it defines the chronology of the colonial potency. The palace and its history are amazing and noble because the moment it was erected with sophistication it was presented to Raja of Cochin as a memento from their end. It is not shocking to understand the question of traveler when they ask if the mutual stand was initiated and carved by the Portuguese then why the palace is renowned as Dutch palace, for such traveler we would like to quote the information that after its establishment the palace was renovated by the by Dutch and further development was implemented by them hence the palace came to be known as Dutch palace. After an annulment of Portuguese raja of Cochin shared hand with the locals to improve the infrastructure of the palace and during his inception he invited and authorized portrait gallery of his ancestors along with the best murals of India. Influence of Dutch came into picture when Portuguese revolted against Zamorins and the Cochin Rajas which in turn allowed Dutch to pave their way within the mainland of Kochi and soon they captured the major areas they out thought the plan of the Portuguese which in turn made them the sole operators until they were defeated by the British. The quadrangular configuration of the palace which is built by portraying the style of Nalukettu inspires the beauty of architecture. The basic element of their foundation is a courtyard that certainly defines the traditional blocks of Kerala. Within the area of courtyard you will witness small temple on either side of the palace and each of it is dedicated to Lord Krishna and Lord Shiva. Beside traditional Kerala architecture the arches and the section of chambers you will witness perhaps reflects the European influence. The dining hall of the palace is a section of attraction because here you would have an opportunity to see the elaborated wooden ceiling beside that floors which are sustained by the works of Kerala speaks the brilliance of architecture. The murals of the palace preserved the best tradition of Hindu art beside that its decorative elements which are used to emulsify the glory of religious importance indeed makes it splendid and comprehensive. The tempera technique which is used in making murals defines the prime importance of it. Within the palace traveler would have an opportunity to understand the vivid variation in mural works beside that its story telling captivity that defines the life incident of religions makes it different and apparent. Besides mural painting Mattancherry palace has a local painting, ivory palanquin, a howdah, royal umbrellas, ceremonial dress, coins etc which reflects the phase of transition and evolution. It was during the call of 19th century the Mattancherry palace was restored and was declared protected and owing to its importance the palace at present is working under the norms of Archeological survey of India.